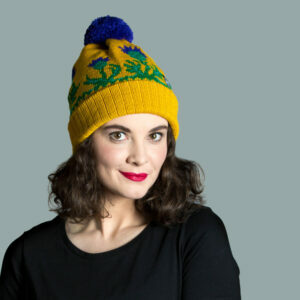 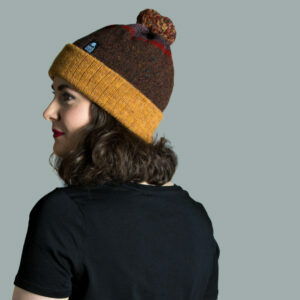 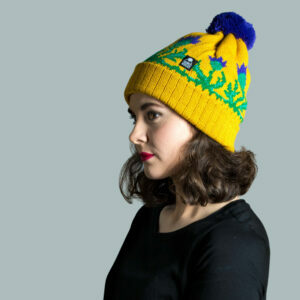 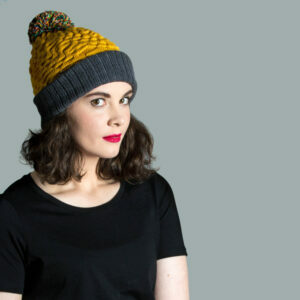 This bobble hat uses vibrant mustard as the base colour which complements the traditional colourway of the Scottish thistle. 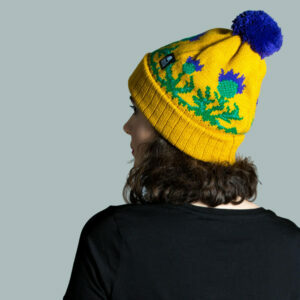 Two shades of green add character to the stem of the plants and bright purple stands out on the top. 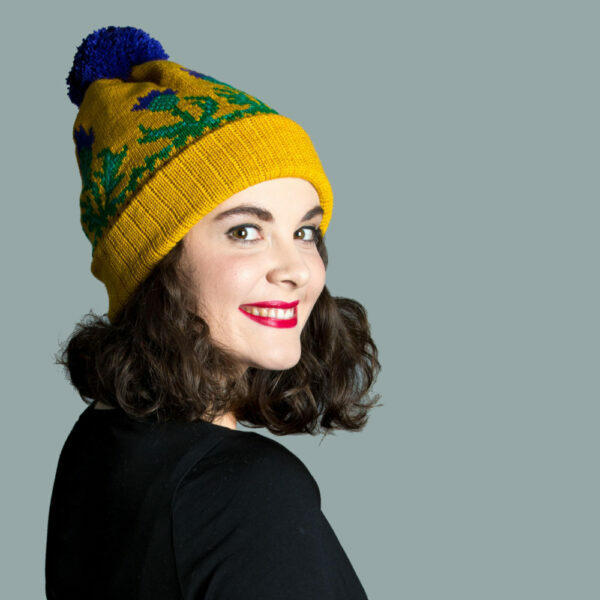 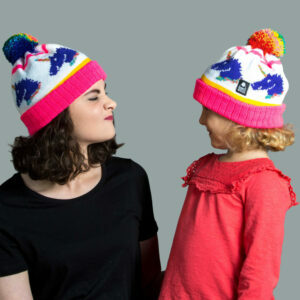 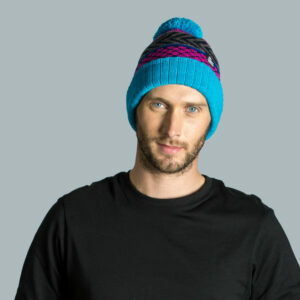 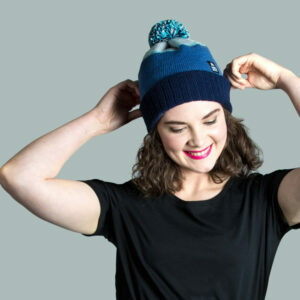 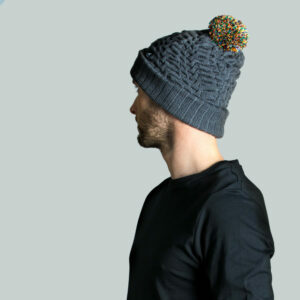 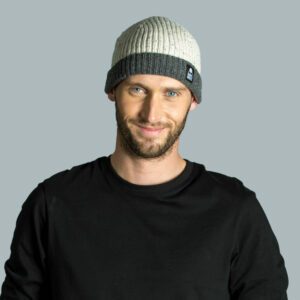 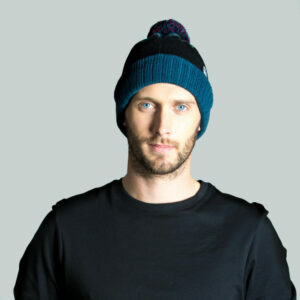 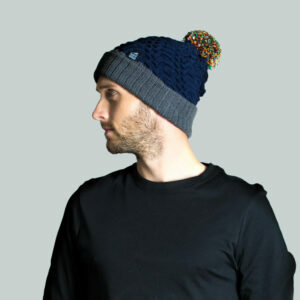 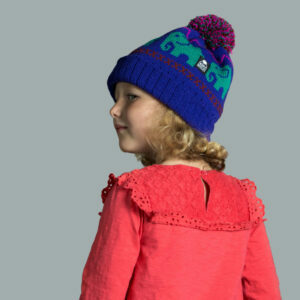 This style of pompom hat has a ribbed roll up feature, which gives extra stretch ensuring it will stay firmly on your head.